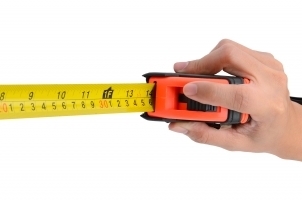 HR is being asked to measure the value of its programs and initiatives. Do you know how to plan and assess a project to ensure it meets objectives? HR professionals need to be able to prove the return on investment of the programs they plan and budget for. Their programs and initiatives should align to the business, setting objectives that link to business outcomes. After taking a one day workshop with ROI Institute Canada in 2010, Longworth decided to take the five day certification course last year, learning how to apply the Institute’s methodology to assess HR programs on a range of levels. She applied what she learned to a leadership program underway, which was costing the company $100,000 to train eight people. Through coaching and feedback, the leaders were able to show how they had implemented the tools they learned in the workshop and how that affected the bottom line, whether through increased revenue or decreased expenses. This fiscal accountability is becoming more necessary for HR professionals to understand and embrace. “We unfortunately see a lot of HR people who have never been asked this before and don’t know where to start, but now they have to be accountable for their programs,” ROI Institute Canada CEO Suzanne Schell said. Training ensures HR managers can assess the value of the programs they're planning, decide which need in depth analysis and determine how the programs link to the objectives and results. For example, if a year into a program to improve retention there is an increase in retention of 8%, how do you know that is directly related to the program? Are people happy with the program? It's important to ensure any new initiative doesn't lead to adverse reactions. Any learning or change needs to be measured to make sure people understand the program and its objectives. This is often where organizations stop when measuring. Once a program has been implemented it's vital to have a process to collect data and prove changes in behaviour. Identifying barriers and enablers to implementation, allows for elimination of the barriers and repetition of the enablers for future successful programs. What is the payoff of the money spent? As the C-suite increasingly demands specific, results-oriented reports. Once HR can show the financial advantages of its initiatives it earns its place at the executive table.